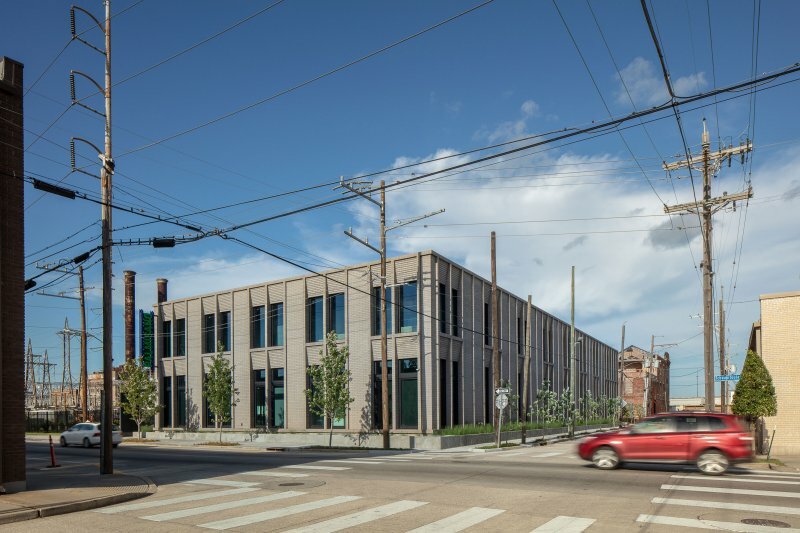 This new office building for Palmisano Contractors, situated in an industrial stretch of New Orleans’ Tchoupitoulas street, nimbly responds to its surroundings in both scale and context. The project began with an open dialogue with the client. 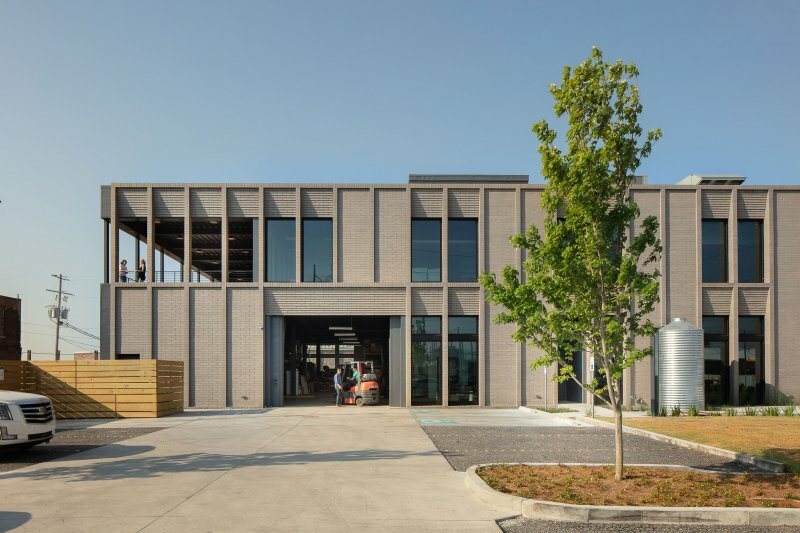 Palmisano, a local contractor, needed a new office building to house their rapidly expanding workforce. The facility was designed with a dual purpose at front of mind: work-life integration and employee well-being. Reinforcing that culture internally helped set the tone early on for a building that readily achieved these goals. The building is set back from the neighboring properties, providing an expansive entry courtyard and amenity space for its occupants. The site along Tchoupitoulas is historically prone to flooding. 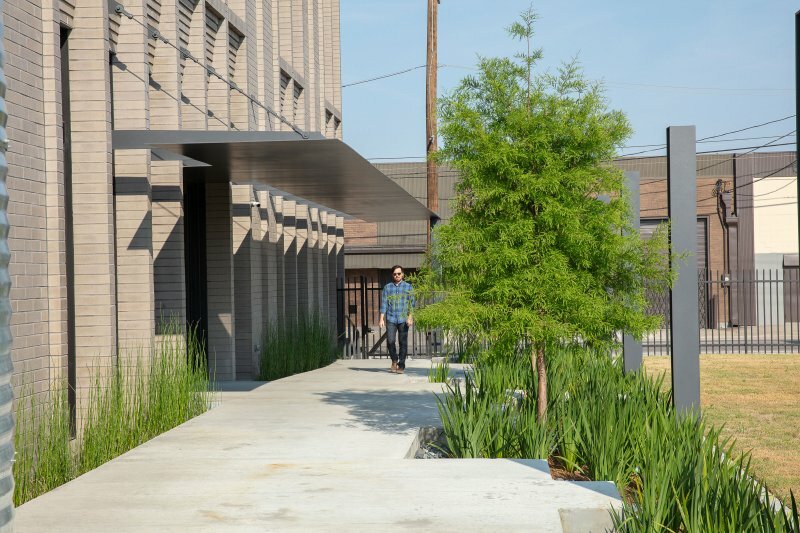 Rather than bury underground, stormwater management features are celebrated, with the main entry shepherding employees and visitors through a raingarden that handles a majority of the site’s rainwater. Upon entering the building is a main stairway and receptionist desk with integrated branding. 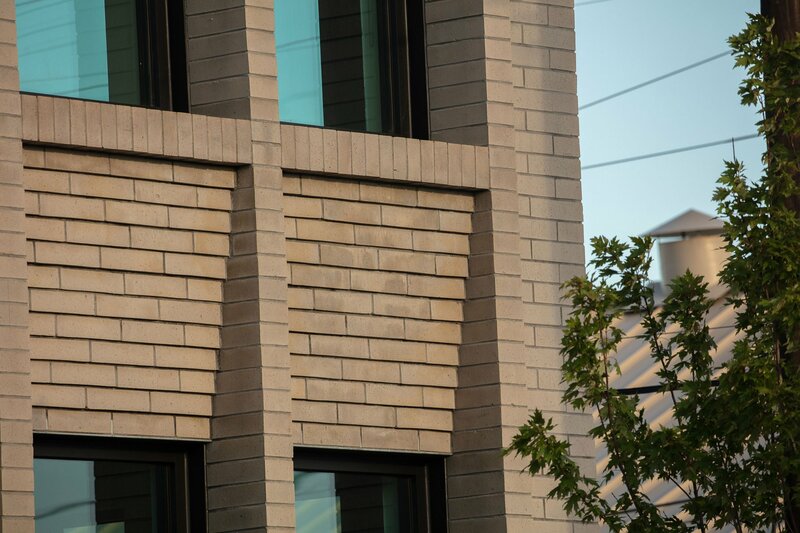 Constructed of steel, concrete, and wood, the materials were chosen for their humble origins. 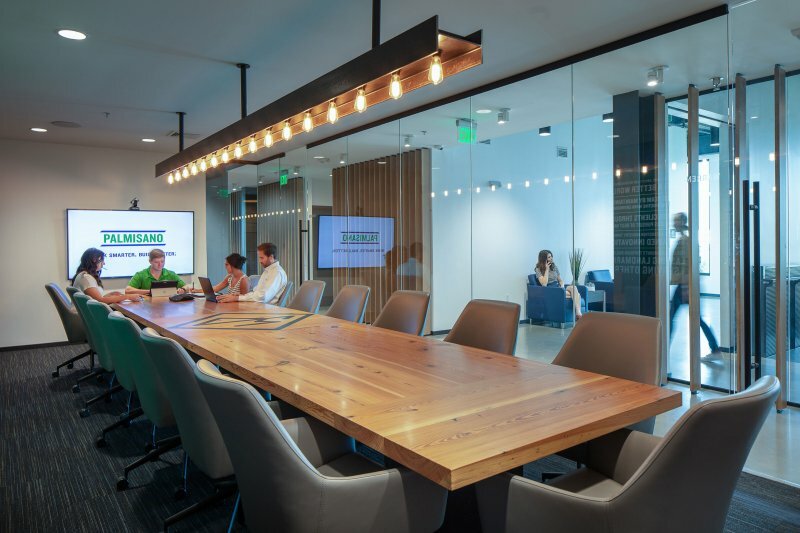 Workstations were designed to support the flexible workflow and collaboration of the project teams. The project, alongside similar new development in the area, eyes a vibrant resurgence of activity and a revitalization of community along the river. 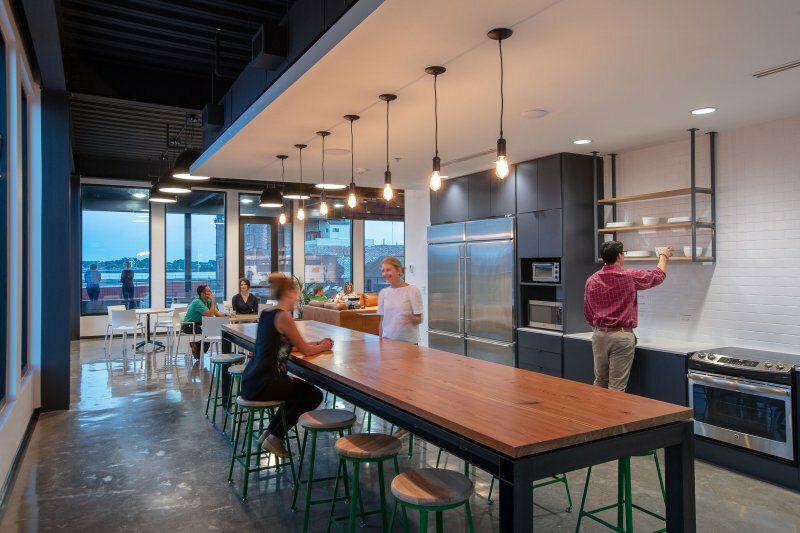 Break areas, including a full kitchen and lounge area, are consolidated in a cohesive, uninterrupted flow, providing employees opportunities for interaction and activity outside of work. The design makes judicious use of the nearby Mississippi, extending an open commons area to an outdoor covered terrace. 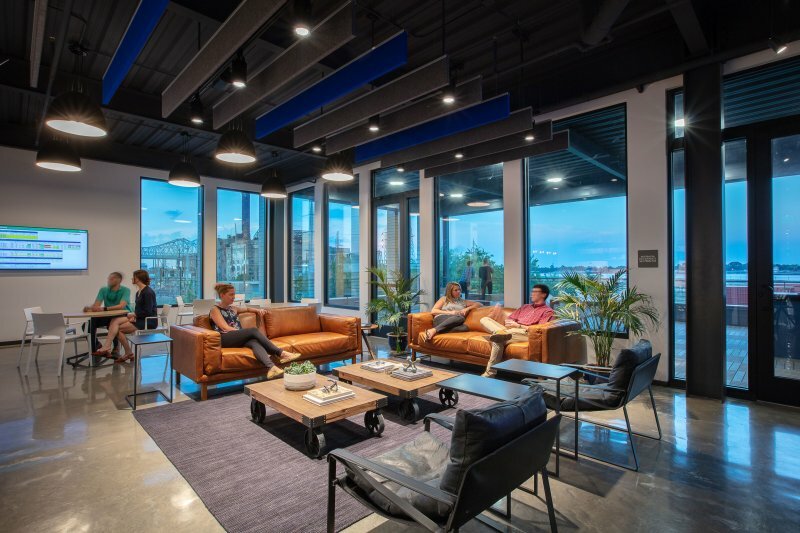 The terrace pulls double-duty, providing fantastic views of the river as well as opportunities for socialization—reinforcing the company’s culture as a team-oriented collective.